Venus Rising, foreground, was accepted into Art Prize 2015, Grand Rapids, Michigan. 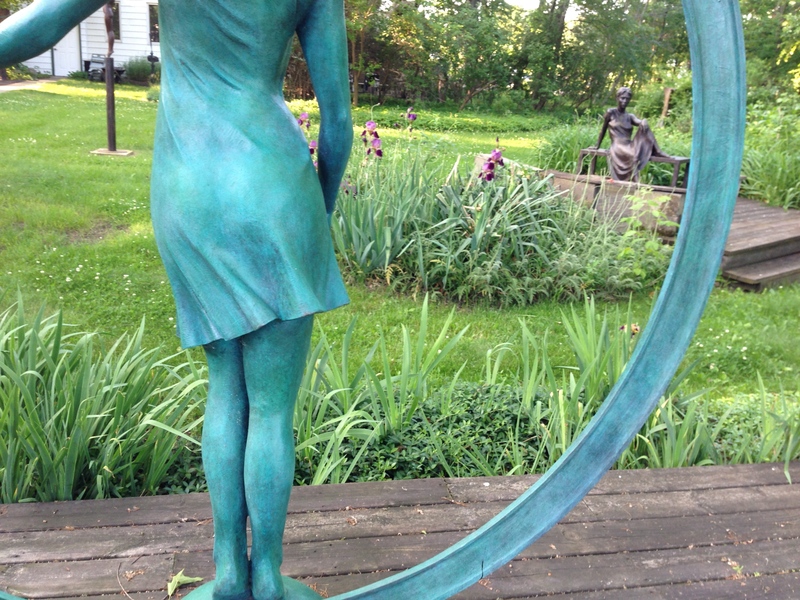 If you see this back (of Venus Rising) at the Art Prize event in Grand Rapids, Michigan in September, please vote for it! She will be displayed outside the DeVos Convention Center on the south side of the building, so you can see it any time, even if the center is closed. The Art Prize event is September 23 to October 11, 2015. The public has TWO rounds of voting. Round One ends 11:59 AM on October 3rd. During Round One, you vote for your favorite artworks in four categories. (Tuck is entered into 3D category, sculpture.) The 20 winners of this round will be announced Oct. 4 at 1 PM. They become the finalists for the prize money. Round Two voting takes place Oct 4, 2 PM – Oct 8, 11:59 AM. Please include Tuck Langland’s Venus Rising in your first round vote for 3D (sculptures), and if it is in the finals, please vote for it again. It would be an honor if he could win this prize. This entry was posted in Exhibition, Garden Sculpture and tagged Art Prize, exhibition, garden sculpture. Bookmark the permalink. This is Absolutely Amazing. I myself have Venus Rising in my birth chart plus it kinda looks like me… 😉 I hope you win/won because this is Beautiful!